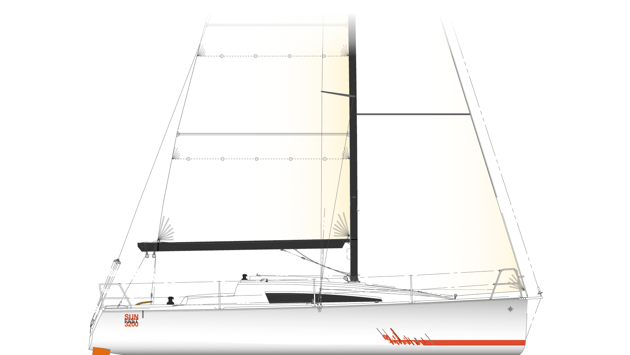 A bold racing boat, without compromise, designed for success! 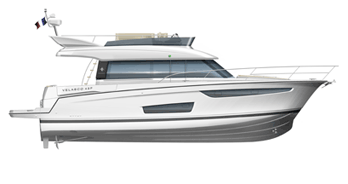 Designed by the naval architectural duo ANDRIEU | VERDIER and constructed entirely using an infusion moulding process, the Sun Fast 3300 benefits from exceptional rigidity, with a considerable weight reduction. Due to its light, powerful hull, twin rudders and straight keel, this new Sun Fast can combine speed and stability in any sea conditions. Perfectly adapted to single-handed, double-handed or fully crewed racing, the Sun Fast 3300 will prove to be a tough competitor, whether racing inshore or offshore. Lernen Sie die anderen Modelle der Reihe Sun Fast kennen. Die Sun Fast 3200 ist ein Segelboot, das Geschwindigkeit und Komfort perfekt vereint. • 2 Doppelkabinen am Heck sorgen für Komfort und eine perfekt symmetrische Ausstattung. Die Sun Fast 3600 bietet eine außergewöhnliche Robustheit und Steifigkeit. • Zwei Pinnen oder Steuerräder mit 2 Ruderblättern sorgen für einen geraden Kurs.